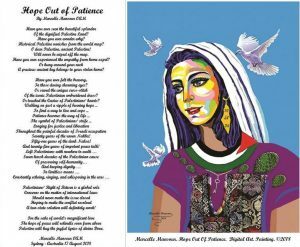 Of the dignified Palestine Land? Historical Palestine vanishes from the world map? O dear Palestine, ancient Palestine! Will never be wiped off the map. Have you ever experienced the empathy from home expel? A precious ancient key belongs to your stolen home? In those daring charming eyes? 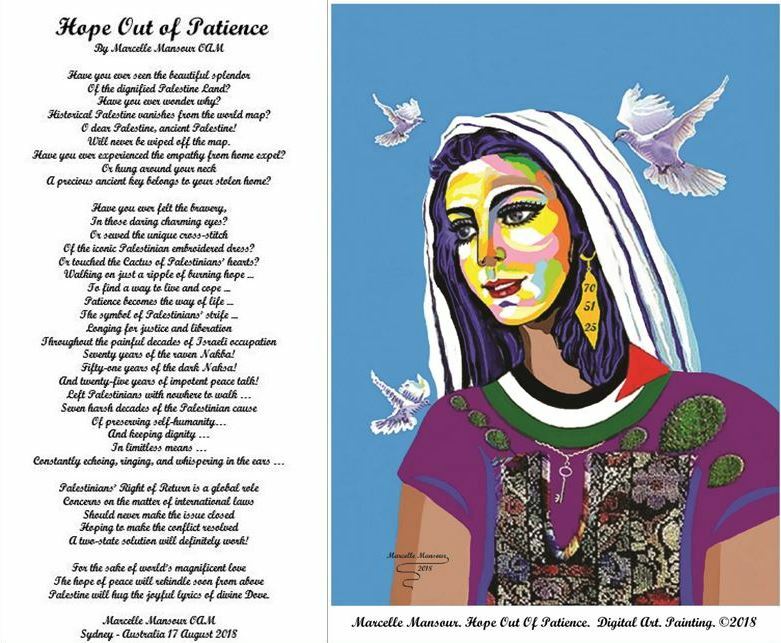 Of the iconic Palestinian embroidered dress? Or touched the Cactus of Palestinians’ hearts? Seventy years of the raven Nakba! Fifty-one years of the dark Naksa! And twenty-five years of impotent peace talk! A two-state solution will definitely work! Palestine will hug the joyful lyrics of divine Dove.